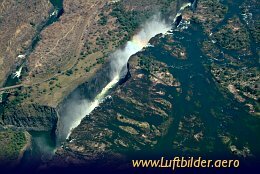 The Victoria Falls are amongst the most famous waterfalls in the world, because of their unusual shape. They are 1.7 kilometres wide and about 100 meters high. The Victoria Falls are a UNESCO World Heritage Site.